Reese Witherspoon married Jim Toth early Saturday evening at her 6-acre ranch in Ojai, Calif.
Reese wore a custom-designed Monique Lhuillier gown, the actress, 35, exchanged vows with CAA agent, Jim Toth, 40, in front of 120 family members and friends. Witherspoon’s best friend, Heather Rosenfield, served as matron of honor, and her kids with ex-husband Ryan Phillippe — daughter Ava, 11, and son Deacon, 7 — took part in the ceremony. The Oscar winner’s young nieces served as flower girls. The “Tennessee Waltz” was the processional music for Toth and the kids, while Witherspoon walked down the aisle to “Here Comes the Bride.” The 20-minute ceremony was officiated by Reverend Jimmy Bartz, founder of Thad’s church in Santa Monica, where the couple have been attending weekly Sunday services. The duo exchanged wedding bands designed by jeweler William Goldberg. Located 90 miles north of Los Angeles, the Ojai ranch — where the star gardens and keeps horses, donkeys, pigs, goats and chickens — has been Witherspoon’s rural escape for years. The star’s rep confirmed their engagement to Us on Dec. 28, 2010. “They are extremely happy,” the rep said. About a week later, Witherspoon debuted her engagement bling — a 4-carat, $250,000 Ashocka cut diamond ring from William Goldberg — at a Laker’s Game. About 120 family members and friends– including Sean Penn, Scarlett Johansson, Renee Zellweger, Tobey Maguire and wife Jennifer Meyer, Robert Downey Jr., Matthew McConaughey and love Camila Alves, Alyssa Milano, Colin Hanks, Isla Fisher and hubby Sacha Baron Cohen— were on hand for the bash. Reverend Jimmy Bartz, of the Santa Monica church regularly attended by the couple, officiated the 20-minute service, and Witherspoon’s children (with ex-husband Ryan Phillippe) Ava, 11, and Deacon, 7, participated in the ceremony. Matron of honor duties went to Witherspoon’s best friend Heather Rosenfield, whose little boys served as ring bearers; the star’s nieces were flower girls. In a fitting turn for the Southern-born actress, a bluegrass band played “Tennessee Waltz” as the processional music for Toth and the kids, segueing to “Here Comes the Bride” for Witherspoon’s walk, and playing “Will the Circle Be Unbroken” during the ceremony. Immediately following the “I do” exchange, guests retreated to a one-hour cocktail party behind the house. The special night’s theme? Rustic, farm-style, of course! (At her bucolic Ojai spread, Witherspoon gardens and keeps horses, donkeys, pigs, goats and chickens.) The outdoor decor included lanterns and chandeliers hanging from trees, mismatched antique chairs and distressed benches set throughout the property, a wood plank dance floor, antique leather sofas, jute rugs, wago wheels and Turkish textile pillows. Different arrangements of white, blush and lavender flowers were set up on each table in mason jars, fish catcher lanterns and antique pots. And large moss-covered pots with lavender were set up all over the estate. When it was time for dinner, guests sat down at long tables in a fabric-lined tent behind the house. On the menu, catered by L.A. eatery Lucques: endive salad with olives and fava beans; wild striped bass with? potatoes, chanterelles and garlic; mustard grilled chicken with haricort vert and herb roasted lamb with braised artichokes. For dessert? A grand wedding cake designed by Erica O’Brien, a separate table of sweet treats — and a s’mores lounge! After the meal, guests boogied on the dance floor to DJ-spun tunes. When it was time to call it a night, revelers departed clutching gift bags with pecan currant scones from a local baker. We all knew this beauty. The last original Hollywood Starlet has passed away at the early age of 79 from congestive heart failure. The world truly mourns the loss of such a legend. Although many critics will say her acting was no good, or her personal life with men was unstable…but to me, she will always be the most glamorous Hollywood legend. She accomplished so much in her lifetime and made a huge footprint on society with her smoldering good looks and generous charity work. 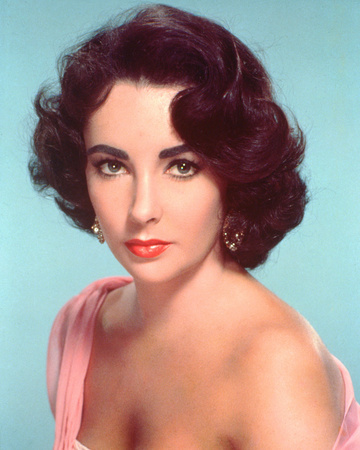 Elizabeth Taylor began her acting career in 1944 with the hit “National Velvet” when she was only 12-years-old. Then came many more films like, “A place in the sun,” “Cleopatra,” “Cat on a hot tin roof,” and many many more. For those of you who don’t know what to where or don’t want to spend a lot~~ Check out the affordable Forever 21 pieces below! This is like my fifth time posting about my obsession with Animal Prints. I LOVE IT! 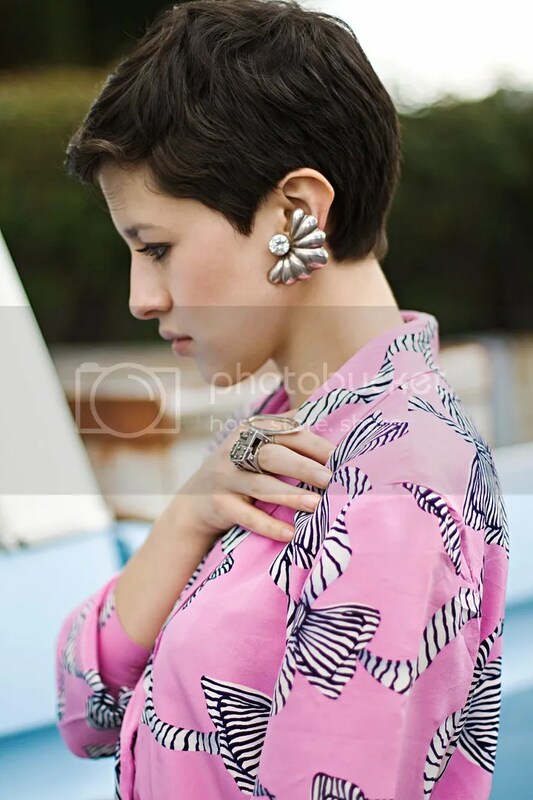 I love the classic pattern and how it transcends across various looks, cultures, countries and eras. I can go on and on about my obsession with lace. The fabric itself comes in so many varieties, yet always exudes a romantic/rustic/boho quality. LOVE IT. 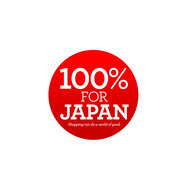 All the proceeds spent on all of Forever 21’s websites will be donated to the American Red Cross’s efforts to aid people in Japan devastated by the tsunami. I bought my stuff, will you be buying yours?! I came across these bags from Style Bubble and HAD to write about them. They’re hideous! I can totally see how Furla Jelly bags are great for kids~ but an adult woman? They might be cute in person, or perhaps that ONE outfit. But the material is like a lint roller for dust, dirt and other crap you don’t want your purse to pick up! Pub quiz question… what’s Furla all about? Alright Furla, Furla… what does this label conjure up for me? Well to be honest, not a lot other than bags that are somewhere between high end designer and mid-priced range and perhaps more apt as gifts for my mum (give her anything Made in Italy that’s not excessively priced and she’s a happy bunny). A bit of Google self-informing and I find their latest S/S 11 advertising campaign featuring Italian artist Ottonella Mocellin and photographed by Francesco Carrozzini, in a cinematic way that reminds me of Alex Prager’s “Week-End” series. Furla’s already throwing a curveball on me. Then they waved candy in my face. Their range of ‘Candy’ bags from their S/S 11 range basically is a boiled sweet transformed into bag form. Or wine gum, gummy bear, pear drops, jelly babies – whichever luminously coloured sweetie works for you. This was the way that I got lured in by the Candy Man aka Furla and so the bags in pink and orange have landed here, permeating the room with a heady beach ball-esque scent that reminds me of the sort of disposable toys that you’d get at Great Yarmouth. That’s a good thing by the way considering how many rubber dingies I loved lying in, to inhale both sea air and plastic. Everyone who participates who’s in and around London, is invited to a shindig at the Furla store in London (in-store 20% discount, booze and DJs I gather…) in April. At the event, five winners overall will be announced and each will receive the Candy bags of their colour choice. We can then all get together and get ourselves down to the lido just to have them all bobbing about in the water for jokes… ah, another waterproof/rubber bag cliche. I’m just full of them. They just weren’t in synch. In a statement to UsMagazine.com last Thursday, reps for Justin Timberlake and Jessica Biel said the pair “mutually have decided to part ways.” The harsh truth: Timberlake, 30, “had been aggressively trying to end things” with the actress, 29, since the Golden Globes Jan. 16, one source close to the singer tells the new Us Weekly, out Wednesday. But even in that final “talk,” Timberlake didn’t come clean about his rampant affairs with other women (including actress Olivia Munn, among others.) “He didn’t admit the cheating, even though we all knew it,” the insider says. Jessica Biel and Justin Timberlake SPLIT!